Would you think it's easier to sell your motorhome or time share? 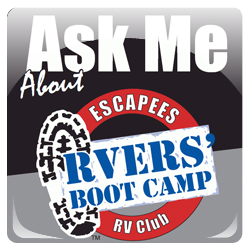 I tell people that my RVs my mobile timeshare...it's available anywhere I go. 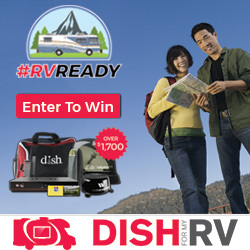 Of course the RV is available 24/7 and the timeshare has 1-4 weeks depending on what you purchase. 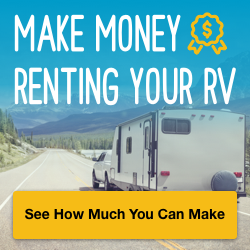 Depends on the RV -and/or- the timeshare - but generally the answer would be a definitive - YES, easier to sell the RV. (IMO) I have no use for a timeshare over my RV - however, friends have a timeshare in Cabo San Lucas which they always take advantage of. *If* I wanted to go to Cabo - I sure wouldn't take my RV.....so it would be fly and hotel (vs fly and timeshare). 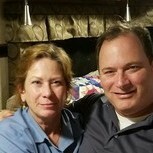 Another retired couple are cruise "fanatics" - wouldn't have an RV if you gave 'em one - and they also have timeshares. It's whatever rings your chimes - and meets your "preferred expenditures". We went with a friend who has a time share in Cabo San Lucas...we had a great time... HOWEVER, we came back home and learned that there's a lot of crime and some people have been poisoned in Cabo. You're right.... never drive your RV to Cabo......we actually met someone who did that and he said that the roads ruined his suspension. Everything is "all over the internet"! Spend a little time and look only for the negative for anywhere and you will find. Then again, look for the positive, especially in RV'ers blog and you find wonderful experiences. Many of the experiences are in places with negative reports. I especially dislike the "he said". 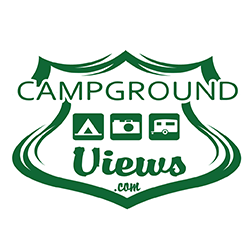 We travel all over the place on road of all sorts, including gravel and dirt in our RV's. Sometimes the roads have pot holes and washboard. We have NEVER "ruined our suspension! If you drive for the conditions on the road, and limit your speed, you greatly reduce the likely hood of damaging your suspension. About the "he said". When someone tells me personally that their experience on going somewhere was.......... (fill in the .... with most anything, ruined suspension, got sick, horrible people, etc.) How do I know the details of what they did. Suspension.....did they overload the RV? Extremely easy to do on many RV's. Drive to fast, not paying attention to the road, etc. Quit worrying about the possible negatives. Do use caution, pay attention to where you are and where you are going. But do go where you want and enjoy life. Especially "quit reading about all the possible negatives. -- Hundreds of thousands of people to to Cabo every year and come back fine. Roadtrek 1 did. Hundreds of thousands of people go to New York City, Washington DC, etc, etc and SOME have bad experiences, most have very good experiences. JUST go and enjoy yourself. -- Several hundred RV's if not many more drive the 1000 miles or so to southern Baja every winter. Most don't damage their RV. -- Some people have damaged their RV by just driving their RV on the interstates. Others damage their RV on 2 and 4 lane highways in the USA. So I guess I shouldn't drive my RV anywhere or go anywhere. Something bad MAY happen. Just go and enjoy yourself. Quit talking about the negative. About dangerous travel to horrible Mexico and Baja California peninsula. Here is a blog of a single lady (60ish) who tosses her stuff in a back pack, hops on a bus and takes a 5-6 week trip through Baja. She ate in many restaurants, stayed in smaller hotels, walked beaches and just plain enjoyed her trip. Not that everything was w/o problems on her trip. Problems do occur. People just deal with the issues and continue on. Yes, she did leave her RV in the USA because she was concerned about possible damage. That doesn't change the fact that hundreds of RV's are driven down the Baja every winter and are not damaged. In the blog link below, note that this is the 2nd page of the index to her Baja trip. Scroll down to the bottom and work your way to the top. Once at the top click on "newer posts" to continue following her trip. Not everything has to be negative! There is enjoyment in this world. Hundreds﻿﻿ of thousands of people to to Cabo every year and come back fine. Roadtrek 1 did. Hundreds﻿ of thousands of people go to New York City, Washington DC, etc, etc and SOME have ﻿bad experiences, most have very good experiences. JUST go and enjoy yourself. Let's be clear people.. YES, I went to Cabo San Lucas.... I flew there... I did NOT take my RV. Look, you make your own decisions and if you want more information...go talk with the AAA..
We had a wonderful time in Cabo San Lucas...5 star resort.... I'm glad nothing happened while we were there, and we dined, shopped and walked around Cabo San Lucas extensively. Just know that there have been incidents in Cabo and Mexico.... check it out for yourself.... your risk tolerance. 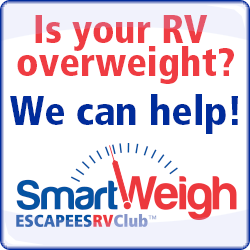 Did you ever consider a timeshare over an RV?? Yes RV all the way. Yes I want the open spaces and be able to see the STARS in the sky. I also like to Share my Time at the camp fire. Clay Been doing it for over fifty years. I like my own bed. And there are "incidents" every day in and near every major U.S. city and lots of smaller ones. One can cherry pick details from any geographic location on the globe. One can also go through life being fearful of everything. Of course people go to all kinds of places regardless.... I would think twice about doing that again. It's a risk and you're not as well protected in a foreign country as you are traveling in the United States. Read the articles and other sources .... your choice. I do take the risks. Every day I get on the highway! 40,000 deaths each year for the last 2 years. 30,000 plus every year for the last umpteen years. Not to mention the hundreds of thousands of injuries every year on the highway. Then there are the home invasions which happen even in "good" neighborhoods. Just putting things in perspective. We are in more danger just living in the USA than flying to Cabo for a weeks stay. WOW...30,000 miles every year.. that's a lot of traveling... what's your MPG? And you fail to understand that we have violent crimes in almost every city in the US....daily. There are gang shootings, sexual assaults, auto thefts, car jackings, robberies, burglaries and drive by shootings. 319,000 robberies and 99,000 sexual assaults in the US, in 2017. 17,000 murders and manslaughters. The 5 cities with the highest violent crime per capita: St. Louis, Detroit, Baltimore, Memphis and Kansas City. OMG!! I'm never going to those places!! The sky is falling! The sky is falling! Dave' sister had a home invasion one evening in a good neighborhood. A "home invasion" means they were actually home when the burglar entered the house. The guy was so high he made lots of mistakes so was caught the next morning.